GILBERT, AZ. 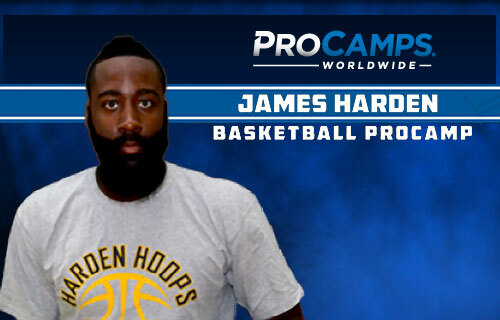 — Join Houston All-Star Guard and former Arizona State Star James Harden at the James Harden Basketball ProCamp. Location: Inspire Courts, 1090 N. Fiesta Blvd., Gilbert, AZ. Dates: Aug 22 – 23, 2015. Session 1 Time: 9:00 AM to 12:00 PM for boys and girls grades 1 – 12. Session 2 Time: 9:00 AM to 12:00 PM for boys and girls grades 1 – 12. Cost: $149. Citi Preferred Offer: $119. Source: Procamps.com. Throughout the camp James Harden will offer tips and instruction, highlighting the finer points of basketball. Campers will experience various stations specializing in fundamental basketball skills and will participate in basketball games. Campers will be placed in small groups according to age to ensure that each child gets maximum instruction. James Harden is currently an NBA shooting guard who plays for the Houston Rockets. He was a first-time All-Star in 2013, his first season with the Rockets. He was named NBA Sixth Man of the Year with the Oklahoma City Thunder in 2012. Harden is a two-time member of the United States national basketball team, winning gold medals in both the 2012 Summer Olympics and 2014 FIBA World Cup. If you would like to book sports stars or athletes like James Harden for a speaking engagement, autograph signing, product endorsement, fundraiser or special event, contact James Harden’s booking agent for appearance and speaker fees at Sports Speakers 360. For booking agent and appearance fee information on how to hire Houston Rockets players for personal appearances, call 1.855.303.5450.